High precision images of the crops that can help determine stress and growth levels driven by the emergence of cheap multi-spectral imaging cameras that can capture visible light (VIS) and near-infrared (NIR) light reflected by crops. Get a head's up on stressed areas, pest infestation, or if you have an irrigation leak anywhere. 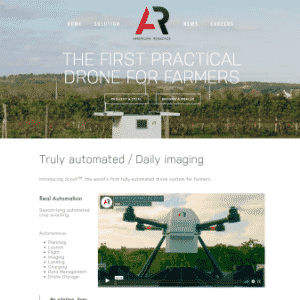 Rotor based drones are by far the most popular type of agricultural UAVs for their ease of use, cost and flexibility. That being said fixed-wing drones excel in many areas. A good guide to help you make a decision on this can be found here. 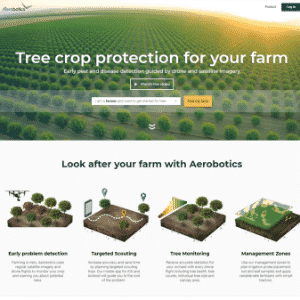 The drones can be flown manually but these days almost everyone will use software to have the drone automatically fly and land and follow a particular route over your crop. 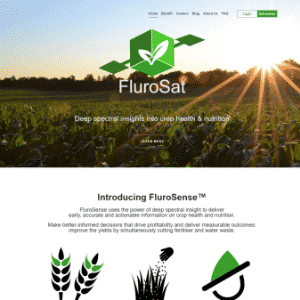 - Identify nutrient deficiencies, pest damage, fertilizer needs and water quality. 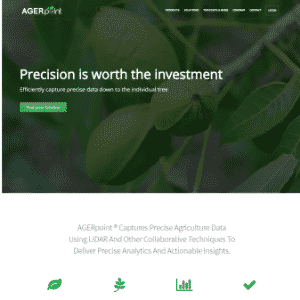 - Used to analyze plant nutrients, plant diseases, water quality, and mineral and surface chemical composition. In combination these sensors can give a 3D GPS accurate model of your field and data that the human eye can not pickup on much less track easily over time. Some terms you might hear are: Normalized Difference Vegetation Index (NDVI) and Normalized Difference Red Edge (NDRE). NDVI is basically a measure of plant health based on how a plant reflects light at specific frequencies. Healthy plants reflect large amounts of near-infrared light (NIR) where unhealthy plants absorb more. Drone software will first off let you map your field and create flight paths. Once you have flown your route you then need the software to help determine what is actually going on in your field over time, what actions to take and send that data along to your team and equipment on the ground. Do you want to own your drone and fly it yourself, or would you rather pay by the acre and have someone else take care of the drone regulations, ownership, and uploading the data, etc? Drone Costs: These range from $1,500 to over $20,000 for a commercial grade spraying drone. Regulations: The FAA views agricultural drone activity as a commercial drone operation so you have to have a Remote Pilot Certificate to fly. More details on that process can be found here. If you are looking to acquire a drone for your operation these companies will give you a complete solution with drone, software and sensor options. 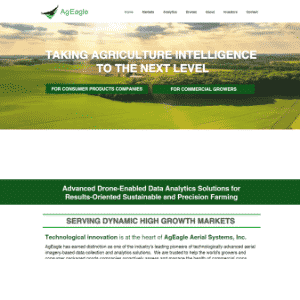 AgEagle offers data acquisition drones for precision agriculture. 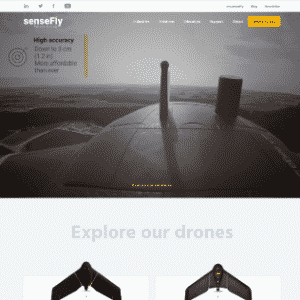 Sensefly (Acquired by Parrot) uses drones for collection and analysis of geospatial data for commercial applications including vertical focus like an aerial crop analysis system. 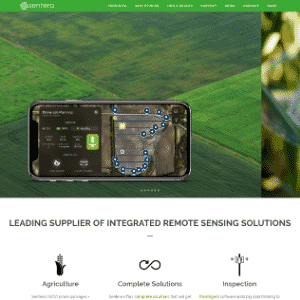 Sentera provides precision ag drones, sensors and software. 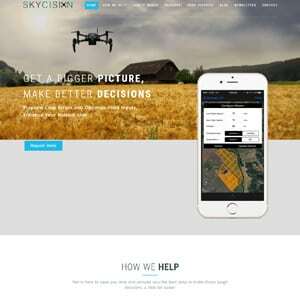 Skyx develops drone systems for crop spraying. 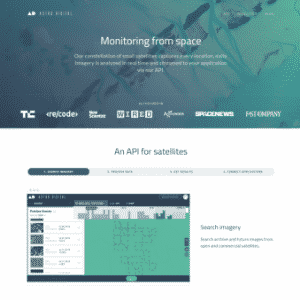 Not interested in getting your license and operating your own drone but would like to access the resulting imagery and data? You are in luck as there are many providers now who will use their own equipment and charge you by the acre to access the information. 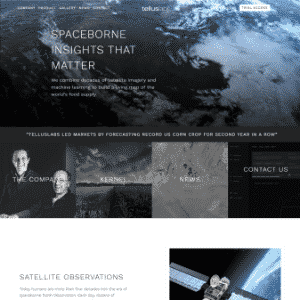 Astro Digital is a global satellite imaging and analysis company with images captured daily via nano satellites in both visible and infrared spectrum. 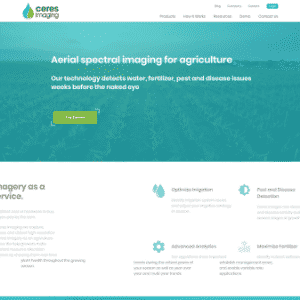 Ceres Imaging is a data-as-a-service (growers pay by the acre) aerial spectral imagery company. Its multispectral images are captured via low-flying planes and helps growers optimize their water and fertilizer application. 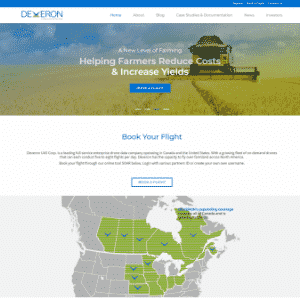 Deveron UAS Corp. is a drone data company focused on agriculture industry operating in Canada and the United States. 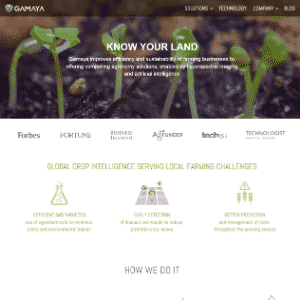 Gamaya develops a farming management solution using hyperspectral imaging and data analysis. 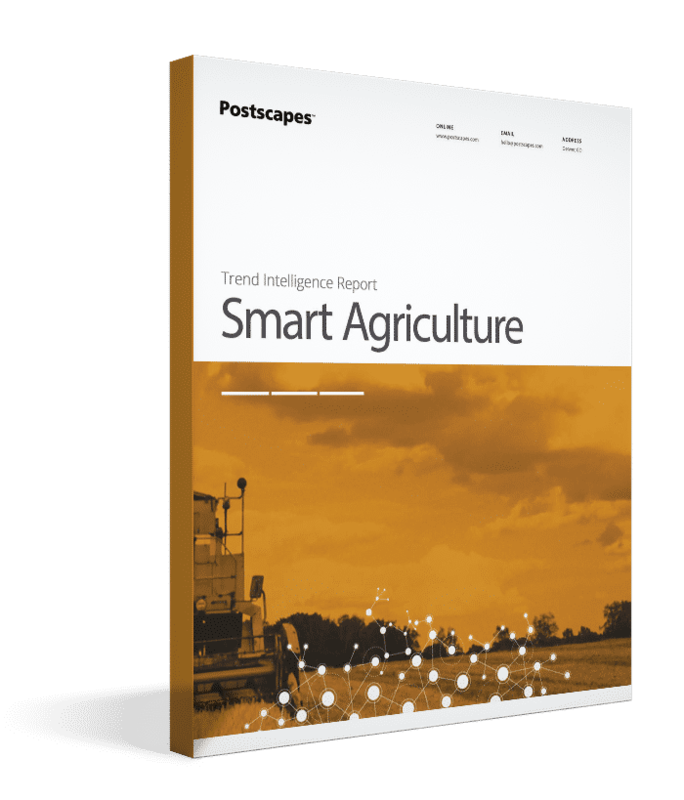 TellusLabs combines historic satellite imagery and machine learning to map and predict agriculture supply chain. 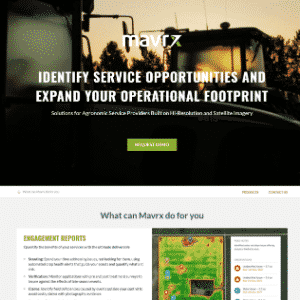 If you operate your own drone but would like to get some additional analysis of the field data here are some solution providers for you to look at for their software and analysis tools. 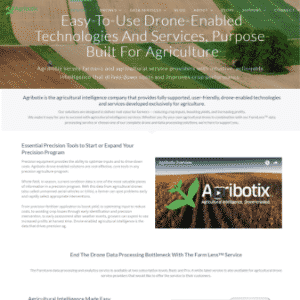 Agribotix (Acquired by AgEagle) offers drone-enabled precision ag solutions. 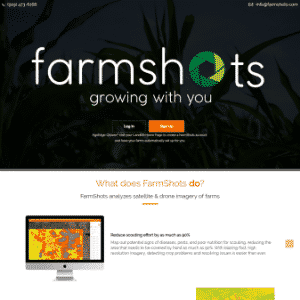 FarmShots (Acquired by Syngenta) detects diseases, pests, and poor plant nutrition on farms by analyzing satellite and drone imagery. 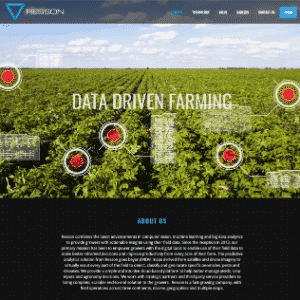 Resson develops a farm analytics solution for major agricultural producers. 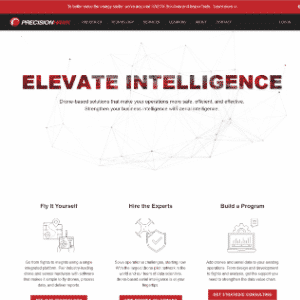 The system uses drones, in-ground sensor data and machine learning to create its insights. 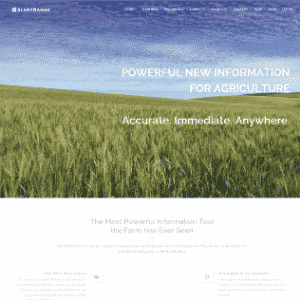 SLANTRANGE uses custom sensors, drones and analytical tools to provide farmers information on the health condition of their agricultural crops.